When Buying or Selling a PR Firm, the Earn-Out Model Works! Home » Blog » The Earn-Out Model Works!! 6.1.2015 December 6, 2018 Posted by Rick Gould CPA, J.D. The earn-out model has been the gold standard for the 20+ years that I have been doing mergers and acquisitions. It is a proven, fair model used by all major PR firm buyers from holding company firm buyers to mid-size firm buyers to bolt-on firm buyers. The appeal and benefit of the earn-out model is rooted in the fact that it protects and benefits both buyers and sellers during M&A transactions. The earn-out model stipulates that the sellers of a business are paid for the sale of the company but must remain with the company through a transition period. If the company achieves or exceeds a certain established level of performance, the sellers have the opportunity to receive a larger price from the sale. If the company does not do as well as expected, buyers are protected from overpaying. There are a variety of earn-out models, including top line earn-outs, EBITDA bottom-line, fixed scale earn-outs and sliding scale earn-outs. Though these models differ, all are contingent on the fact that the ultimate price/value of the PR firm being sold is dependent upon the future performance of the seller. • By implementing the earn-out model rather than selling for a fixed price, a seller has the opportunity to receive a much larger price from the sale if the company performs well after the sale takes place. • The earn-out model is performance-based, which is fair and incentivizing. 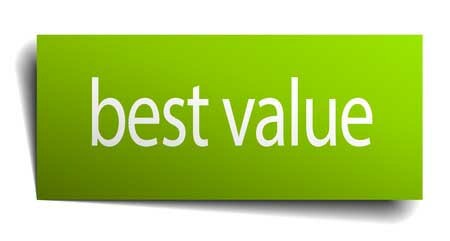 • Top-line and bottom-line generated for the seller by the buyer adds to the seller’s ultimate value (and price) of the firm. • The addition of a buyer’s intellectual capital, management expertise, digital capabilities, back office systems, new business pitch team, RFP team and other features that a seller may not have implemented at the same level, if at all, adds to the value (and price) of the firm. • It protects buyers from overpaying if the company does not perform as well as expected after the sale is made. • It creates a win-win situation for the seller “and” buyer. If the seller’s income increases based on the organization’s performance, the buyer’s income also increases. • It makes deals affordable for many buyers who have limited funds to invest in acquisitions. • It acts as a retention device, requiring key seller staff to remain with the firm in order to receive their earn-out payments. • It aligns seller management and staff with buyer’s interests. • It can often be internally financed, rather than financed through a bank. • It shows the buyer that the seller is willing to have skin in the game and to stand behind their company and their expectations and predictions for its future success. I am a total proponent of the earn-out model. It is used on Wall Street, and all levels of PR firm buyers use it. It’s fair, beneficial to both buyers and sellers and, most importantly, it works.